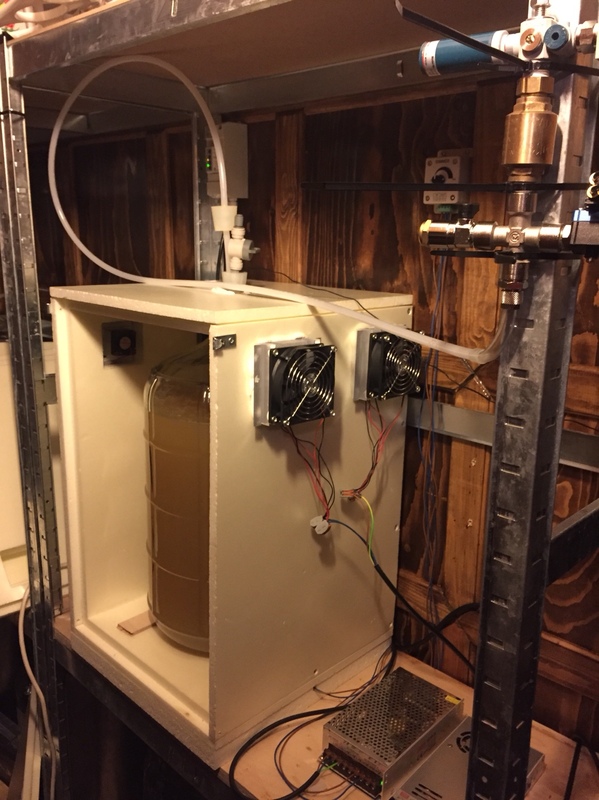 A long story short: I wanted a auto-degassing vessel with the possibilty to change the enviroment for the beer fermentation. By doing so I believe that different flavor profiling is possible with same strain. In this first phase (will develop it further) I applied temperature, stirring and atmospheric pressure controlling. I have a glass carboy which I placed in a insulated chamber. 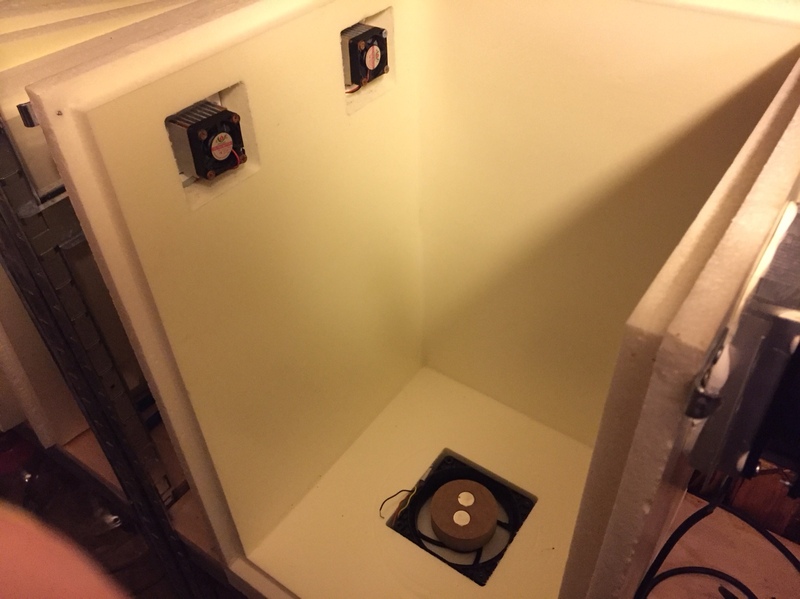 This chamber has thermoelectric elements and a electric motor in the bottom. In my rubber bung I have three holes. 1st hole contains a stainless steel pipe which is submerged into my wort, and inside the pipe I have a temperature sensor to whom I connected the thermoelectric elements. The mesurements is by that, taken in the middle of the wort and not on the wall outside the fermentor. The elements will adjust temp within 0.1 degrees. 2nd hole has a hose with a valve to it, by connect a syringe I can add nutrients (or other spices or solutions) and take samples without opeining the vessel. 3rd hole is where I connect my vacuum ejector (compressed air driven vacuum generator). By using vacuum I will be able to degass and by use other enviromental pressure I think that I just might manipulate the way the yeast works. Not bio-chemically but my fluid dynamics changes since there are no/very little pressure. I have no evidence that this will improve my final result, but with high OG beverages it seems like degassing will help out to get faster attenuation without stalled fermentation.